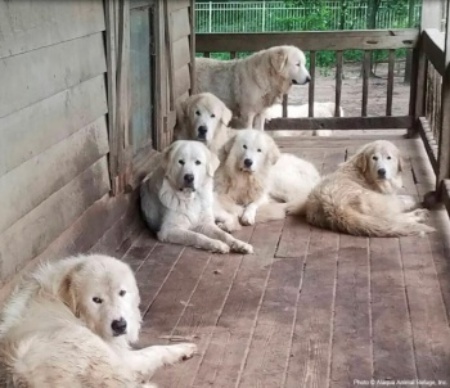 Help 70 Great Pyrenees Rescued from Severe Neglect! Last week, 70 Great Pyrenees dogs, including 10 puppies were rescued from deplorable conditions and living in squalor. They’re now in urgent need of medical attention, care and love – with the hope of finding permanent, loving homes. Great Pyrenees are gentle, majestic dogs that have been loyal protectors for centuries… they now need our protection. You can help! Just $5 will help provide the food, care and medical treatment they urgently need!